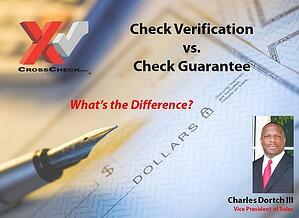 • How is check guarantee different than check verification? • Which industries are best suited for each service? • What do bad checks actually cost your business? • What percentage of check payments are used vs. debit and credit cards?